McLaren Vale Lakeside Caravan Park is nestled in the heart of McLaren Vale, which is located only 40 kilometers from Adelaide, South Australia. This magnificent property is set on 38 acres in a quiet bush setting showcasing picturesque nature and a beautiful seasonal ornamental lake. McLaren Vale Lakeside Caravan Park is also in close vicinity to a smorgasbord of fine wine, food, and art. Welcome to McLaren Vale Lakeside Caravan Park. 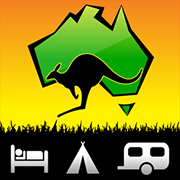 This idyllic caravanning and camping spot, located in the heart of McLaren Vale, South Australia, is situated only 40 kilometers south of Adelaide. In addition to offering a natural and unspoiled scenic charm for everyone to enjoy, McLaren Vale is home to sustainable winegrowing, first-class wineries and wines and some of Australia’s best gastronomic experiences. McLaren Vale Lakeside Caravan Park offers a range of accommodation types making McLaren Vale a great base for exploring the Fleurieu Peninsula with its rich ambience, and excellent surfing, fishing and diving. So whether you wish to bring your tent or campervan, or if you wish to stay in one of our comfortable cabins, make sure to kick back, relax, and unwind into McLaren Vales’ wonderfully scenic surroundings. A very cozy caravan park, nice and quiet and close to everything.